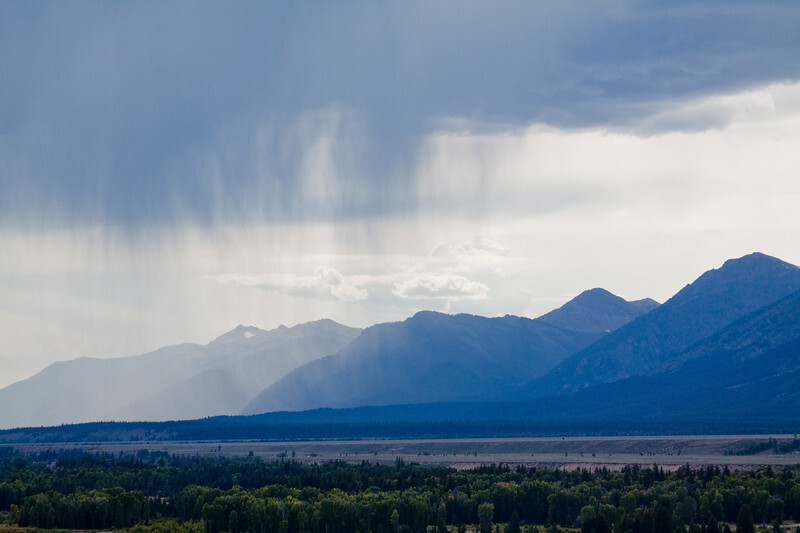 Virga on the Teton front range. Thunderstorms threaten, but the rain evaporates before it gets to the ground, creating these curtains in the sky. 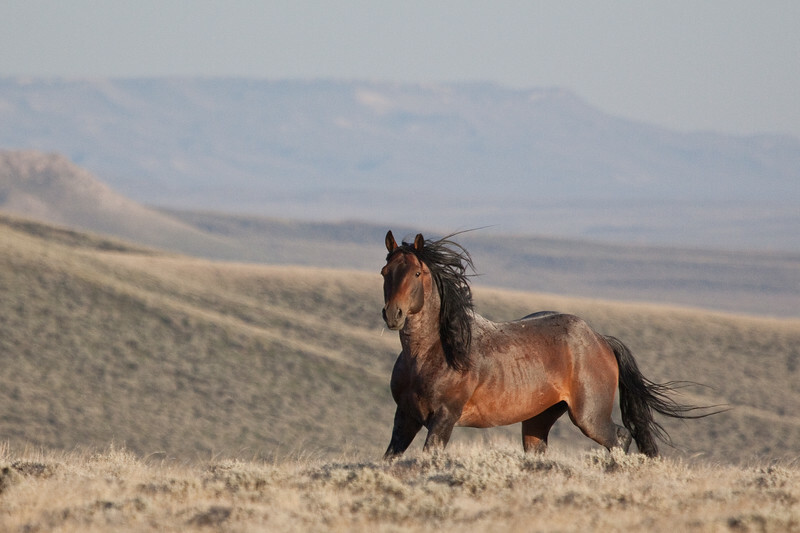 This beautiful wild stallion clearly objected to my presence between him and his herd. After pacing up and down the road, he finally ran north into a drainage, crossed the road, and re-joined his herd. 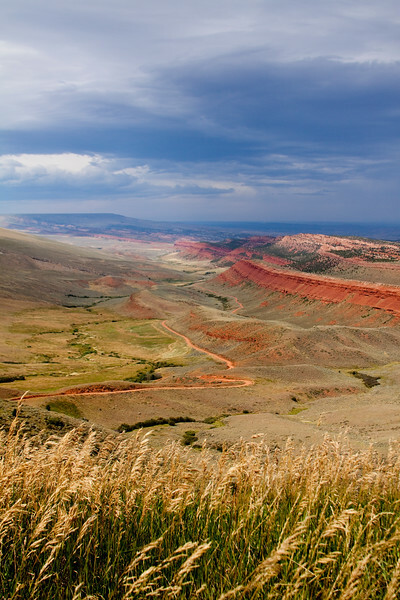 Another reason to preserve the precious Great Basin Divide, also known as the "Red Desert" in south central Wyoming. 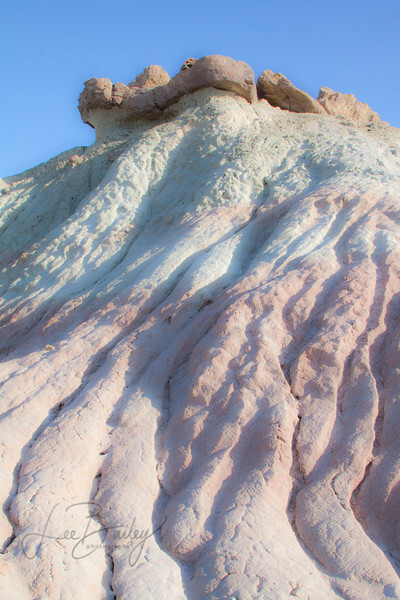 The Red Desert is full of beautiful formations and colors. One the most remarkable is the Honeycomb Butte area, the remnants of an ancient lake full of fossils. 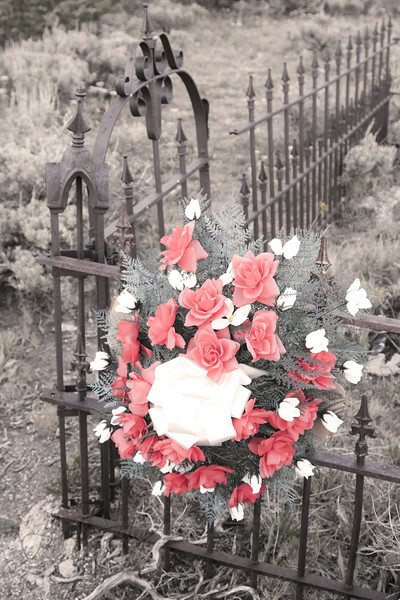 Thousands of Indian Tipi Rings remain in Wyoming. The rocks were arranged to hold down the edges of the tipi from the brisk prairie winds. 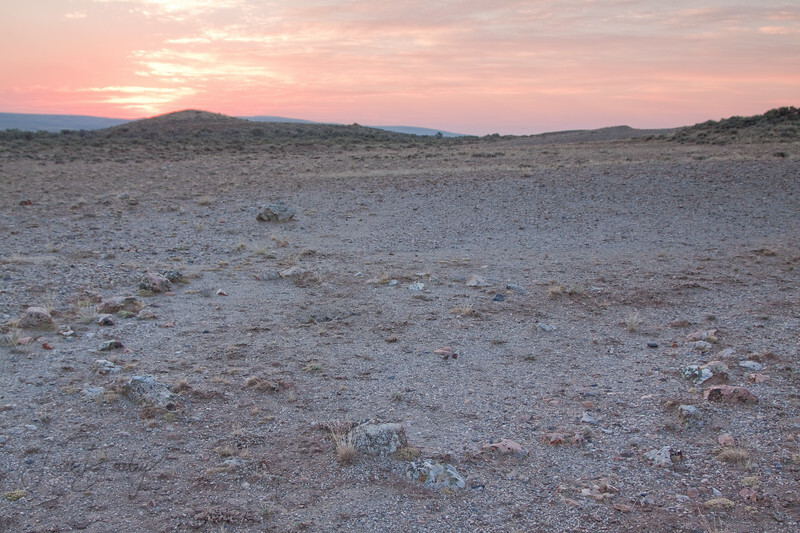 Though this area in Pacific Springs, Wyoming looks desolate, it is located within 1/2 mile of a year round spring and good grass for livestock. Located on a small ridge, it kept the occupants away from the biting insects of summer. 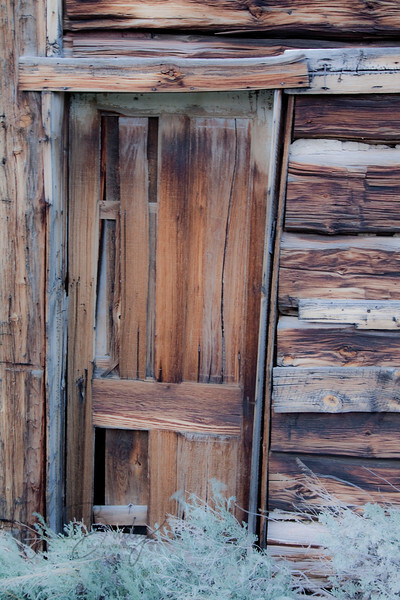 Entry door at Miners Delight, Wyoming cabin.